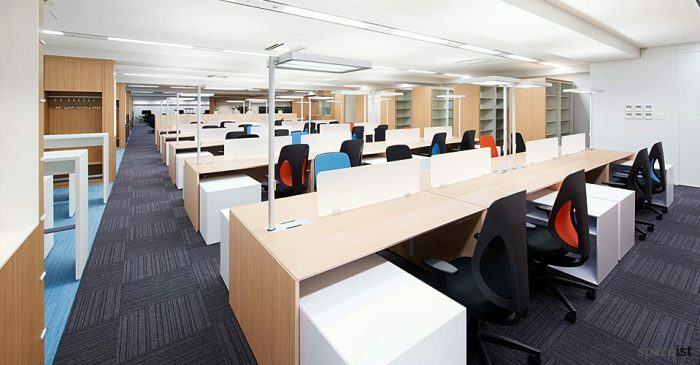 Categories: Office ranges, Forty5 desk range, Executive Desks. 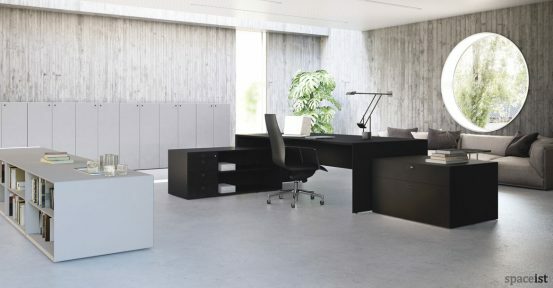 Stylish and economical executive desk in black. 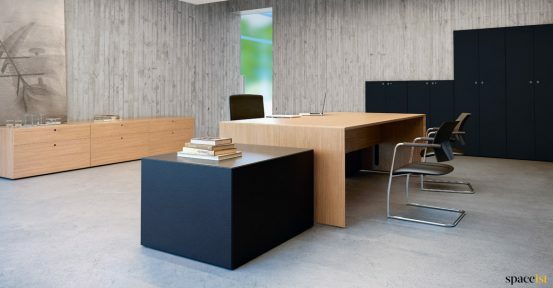 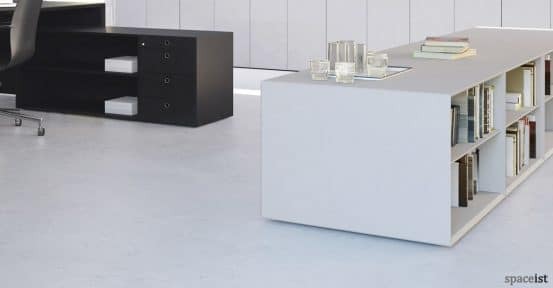 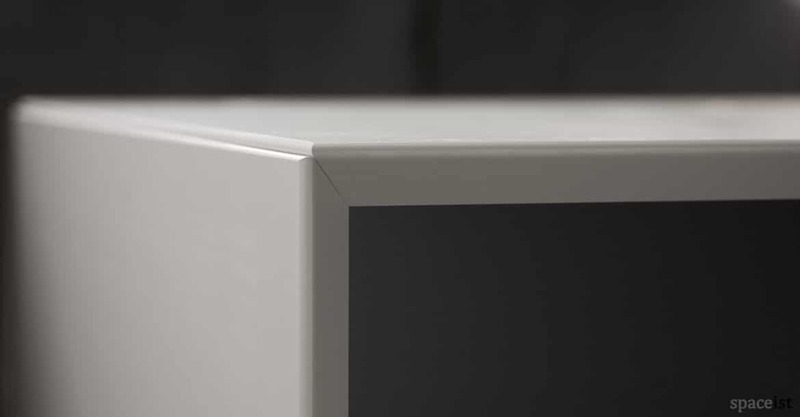 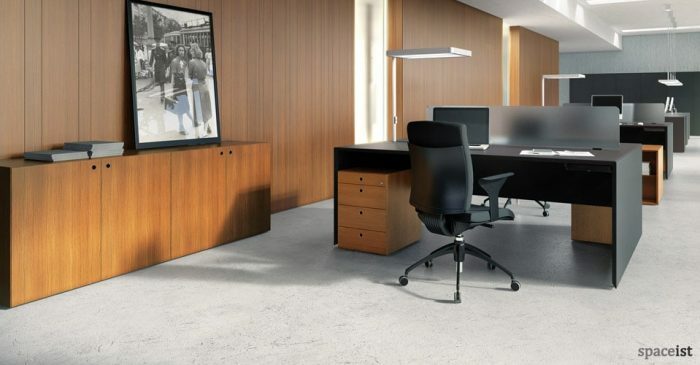 The Forty5 range comprises of office desks, reception desks, office storage and sound reducing panels. 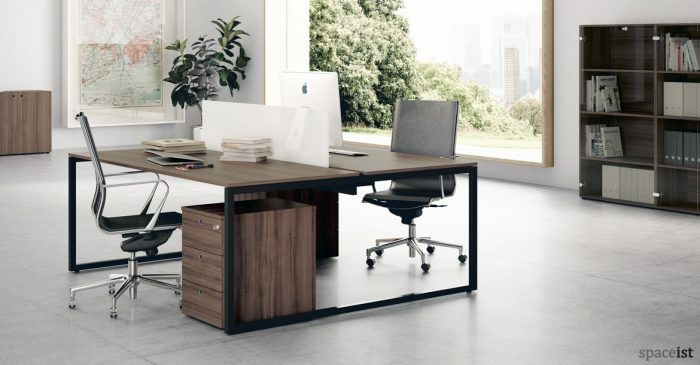 This executive desk comes with full cable management. 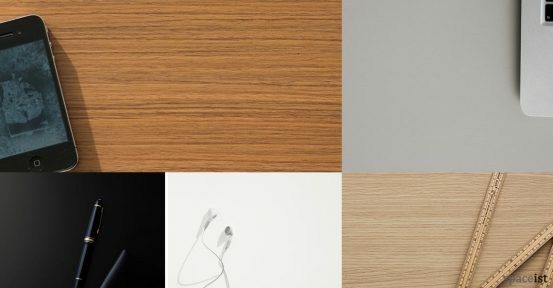 Finishes are oak, white, black or grey laminate. 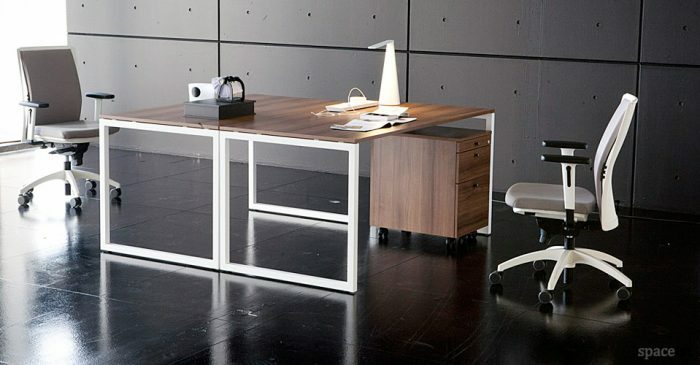 Shown with desk return in black and wide black filing drawer.